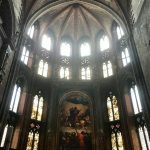 Sometimes there’s just no substitute for seeing the object you are studying first hand. 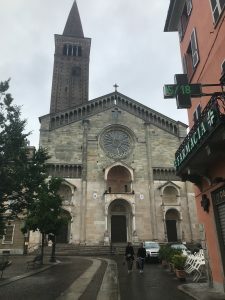 For more than three semesters, from a graduate seminar in medieval cathedrals, to intensive thesis research, art history graduate student Rebecca Teague has focused on the sculpture programs of three 12th-century cathedrals in three small towns in northern Italy. 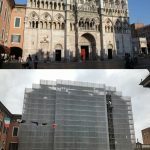 She has written her master’s thesis on the cathedral facades designed by the sculptor Niccolò in Verona, Piacenza and Ferrara. 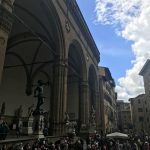 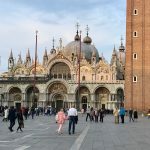 Last May, Teague got a chance to see the cathedrals up close and in context during a study-abroad trip with the Department of Art and Art History. 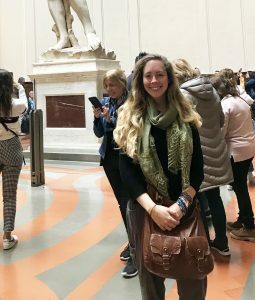 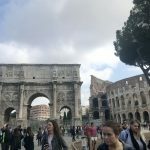 She was able to visit Rome, Florence and Venice with the group and served as a teaching assistant to Dr. Tanja Jones, who is also Teague’s thesis advisor. 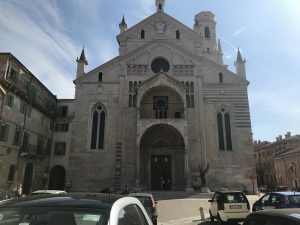 After the main part of the trip was over, Teague and Jones made a side trip to Verona to view in person the sculptured doorways of the cathedrals at Verona, and nearby Piacenza and Ferrara. 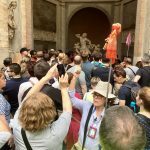 For information about UA Art and Art History’s programs, go to: https://art.ua.edu/academics/.